1851 and in the pioneer west Eli and Charlie Sisters are henchmen for the Commodore, a rich and powerful businessman with many interests. Their latest task is to travel from Oregon City to the gold mining claims near to Sacramento to locate Hermann Kermit Warm, a prospector that has allegedly stolen something from the Commodore. Whilst Charlie seemingly enjoys his infamous status as a hired killer, Eli is more circumspect until he’s provoked into a rage. Journeying south to find Warm, the brothers engage in a series of encounters with a range of colourful characters, leaving a trail of bodies in their wake. Increasingly, Eli questions how their lives are unfolding, the consequences of their actions, and their prospective future. As they close in on their target, it’s clear that relationship between the brothers is changing and things will not be the same once Warm is dispatched. 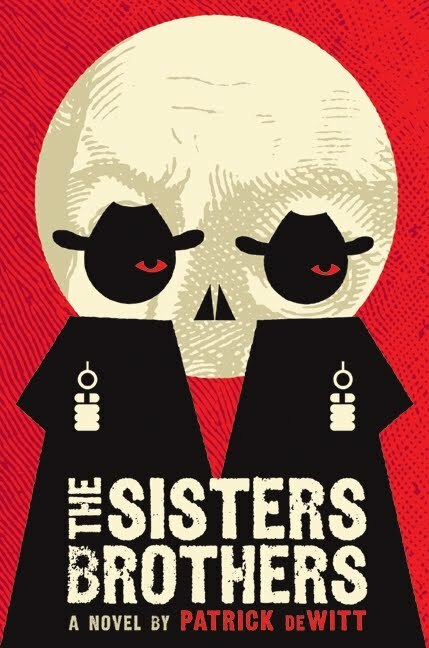 The Sister Brothers reads like a Greek tragedy transported to the lawless, pioneer territories of west coast America in 1851. Eli and Charlie Sisters set off on a rites of passage trek in order to fulfil their quest to murder a prospector at the behest of their boss, the Commodore. As they journey south they drink, steal, kill, meet a diverse set of characters, become tangled in a set of odd situations, and bicker. Both brothers have known little other than the murderous trade they peddle, but Eli has taken to imagining another kind of life, aided by their journey. deWitt tells the brother's story in a dead pan, melancholic voice that does not romanticize or glamorize the pioneer west and has a nice sense of place and time. The plot unfolds a steady pace, providing a detailed character study of the brothers and the gradual transformation of their relationship. Both brothers are savage characters, yet by adding a smidgeon of emerging compassion and self-reflection to Eli, deWitt provides a connection through which the reader can empathise with them. Nevertheless, it took me a while to get into the story, which matures as it progresses. It was only in the last fifth of the tale, however, that the arc of the plot all dropped into place to become more than the sum of its parts. As such, the story had much greater resonance on completion than when I was reading it, and the more I reflect on it, the more satisfied I am with the tale. Overall, an enjoyable, thought-provoking read.